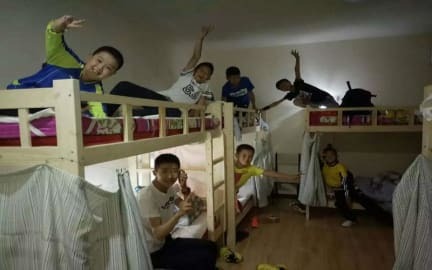 Yinchuan Phoenix Hostel v Yinchuan, Čína: Zarezervujte nyní! 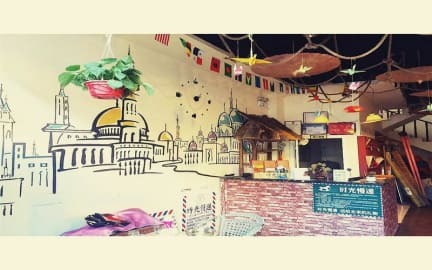 Yinchuan Phoenix Hostel has stylish decoration, the door first rough mad atmosphere, the lobby rich flavor of Northwest mural, so you feel like being in the desert beyond the Great Wall. To meet different customer needs. Fresh and elegant rooms, for your efforts to create a clean and comfortable living environment. The hostel is about 6 km from the railway station, about 15 minutes by taxi to the door. Go out there within about 500 meters to the Lake, Western Xia Imperial Tombs, the western movie, Meiyukou and other tourist attractions of the bus, easily accessible by car, allowing you to easily explore the cultural landscape in Ningxia. It is worth mentioning that the hostel is located in the business district of Ningxia University, there are Wanda district, 1.8 km from the hostel, about 7 minutes to the shopping and entertainment convenience. Walk about 600 meters to one of the largest night market in Yinchuan: Huaiyuan market, there are a variety of snacks, Ningxia, inexpensive, allowing you to enjoy the beautiful scenery after bites. Darkness fell, the hostel of the same name into the bar, feel the 'Ashes of Time' desolation and generous man listening northwest folk tune, enjoy delicious local Chunliang brewing wine, after the death of dream back into the room, looking forward to the unknown journey to Japan. Yinchuan Phoenix Hostel is the first Hostel in Yinchuan. Whether you are alone or together, here, there will always be a bed, a room for you. Curtain falls through the foyer, desert mural will reflect in the eyes; you do not leave, the Great Wall has been around. Phoenix under good wine, the hostel has been prepared under the same name Chunliang wine bar. There is sung to the rim of the cup spring mash. The Northwest folk taverns, guitar have tambourine, any customer who has booked the site, just give praise to receive a free bottle of Ningxia local beer in the pub. CYTS has its own outdoor eco-tourism project, the desert two-day trip, as well as occasional tambourine open class, BBQ ladder, fondue feast. 2. Check in and check out time 13.00.